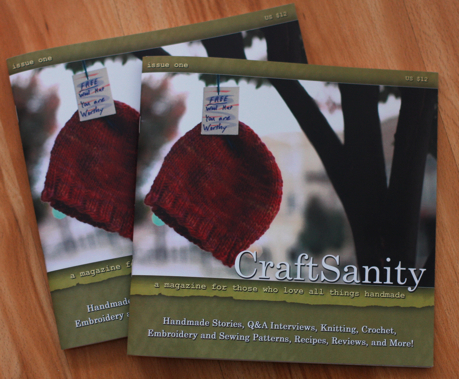 Today was the first print run of CraftSanity Magazine, so I asked to go see how the nice people at the Grand Rapids Community College Print Solutions do what they do. 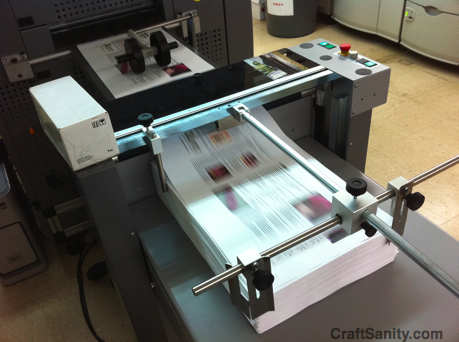 It was surreal to watch pages if my magazine slide out of a giant whirring printer. After daydreaming about turning CraftSanity into a publication for years, today’s print shop visit was pretty awesome. There it is! I have two proof copies in my possession and can tell you that after all the nail-biting and restless nights, I’m very happy with how the magazine looks in print and can’t wait for you to see it, too. 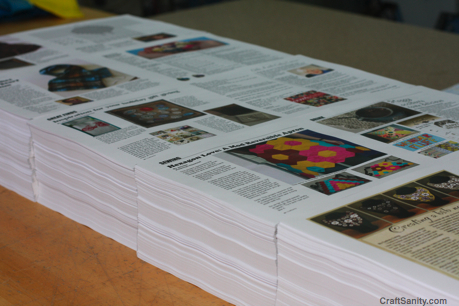 A very special thanks to the talented contributors and generous advertisers who made this issue come to life. You folks are great! * Lizzie Ann’s Wool Co., 54 E. 8th St., in Holland. We’re going to release a pdf version ($3.99) of the magazine next week, too. Hmm it seems like your website ate my first comment (it was extremely long) so I guess I’ll just sum it up what I submitted and say, I’m thoroughly enjoying your blog. I too am an aspiring blog writer but I’m still new to the whole thing. Do you have any helpful hints for newbie blog writers? I’d certainly appreciate it.